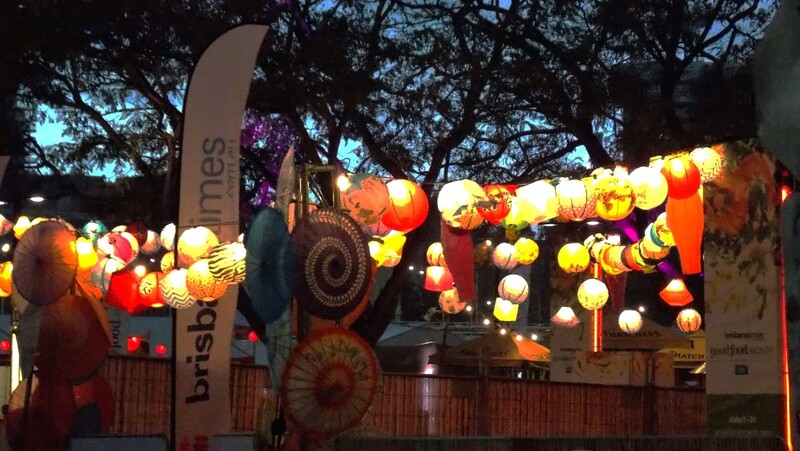 Brisbane’s inaugural Night Noodle Markets were a huge success, drawing over 160,000 visitors over 10 nights. 22 stalls dished up Asian street food from late afternoon into the evening, and hordes of people queued up to sample the fare. My own visit, on a Saturday night, was packed with people – the kind of crowd where you can trip over a pram, a wayward child and three small dogs in a single step. The vendors really deserve commendation – they kept the lines moving at a very reasonable pace and were still friendly and polite. The only real reason that I wouldn’t rate this event 5/5 is that the crowds really did detract from the experience – I spent almost half an hour walking in circles, looking for a space to sit. All the seats were taken and the ground was pretty full as well! The space that was created for the markets was fantastic – the stalls were set up in a long, single row along the edge, making it easy to walk along and look at all of the options (and allowing plenty of room for queues). 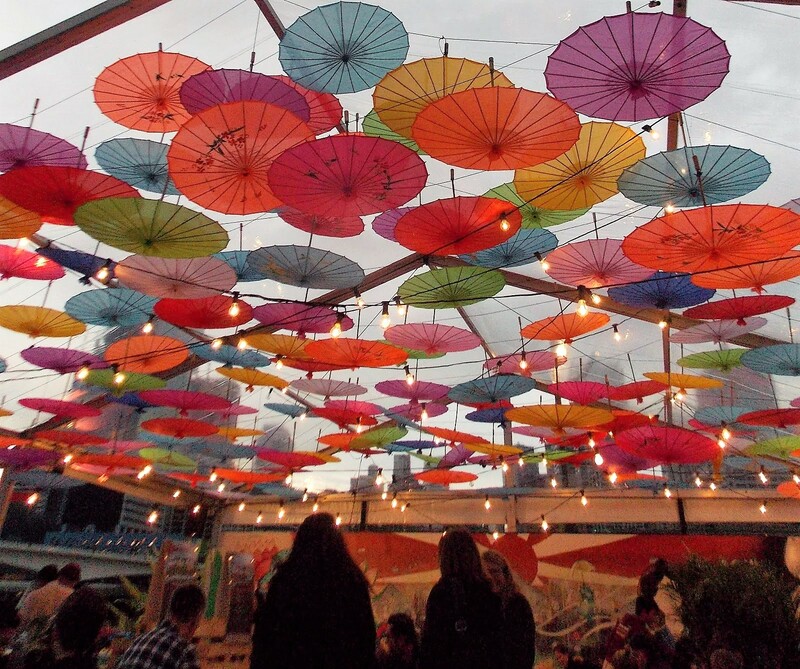 The three separate bar areas were well-set up and the lantern and umbrella displays were beautiful – even more so as the sun went down. Despite the massive attendance, the whole event still had a laid back, easy vibe. Fellow vegetarians/vegans, I would definitely recommend the spring rolls from ‘Let’s Do Yum Cha’ – some of the best I’ve ever had. Pumpkin fetta and vegan black bean gyoza from local business Zagyoza were also excellent – I’ll definitely be visiting again next time I’m in West End! 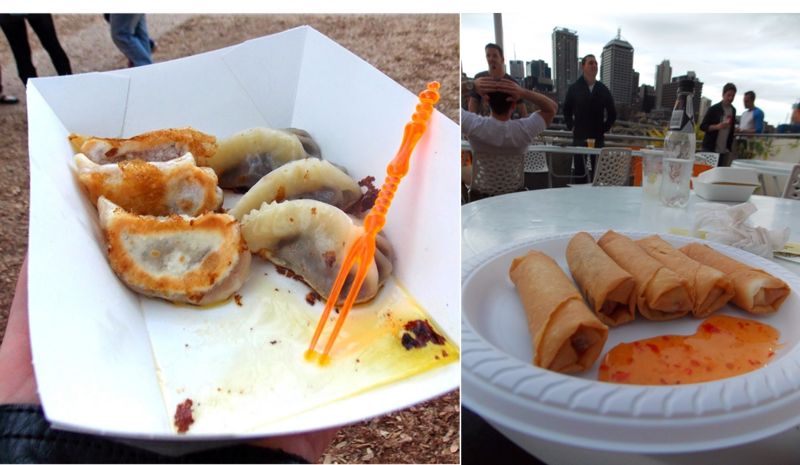 Event organisers have already confirmed that the Night Noodle Markets will be back (and maybe bigger!) in 2015. If you didn’t quite get there this time, make sure you get along for some of the delicious action next year!